While battery storage makes renewable energy more plausible by storing energy made during peak times for later use, the cost of those battery storage facilities is pricey. 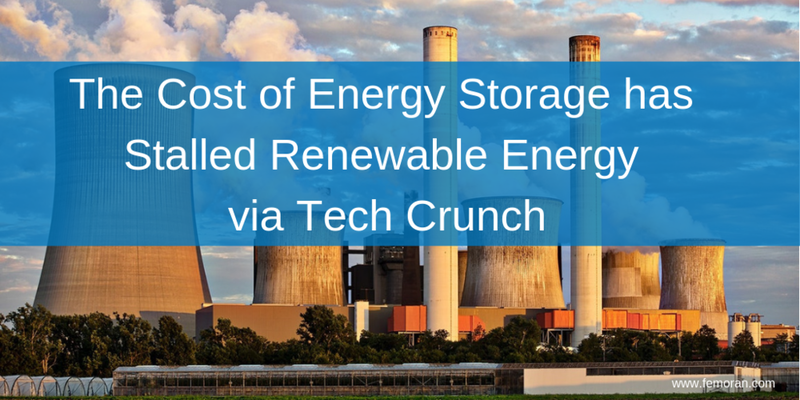 For example, 100 MW of renewable energy would cost about $65.6 million in massive batteries to store, according to Tech Crunch. Tech Crunch spoke with Energy Vault to to talk alternative battery storage solutions. Older PostSolar and Wind Generation Growing in U.S.